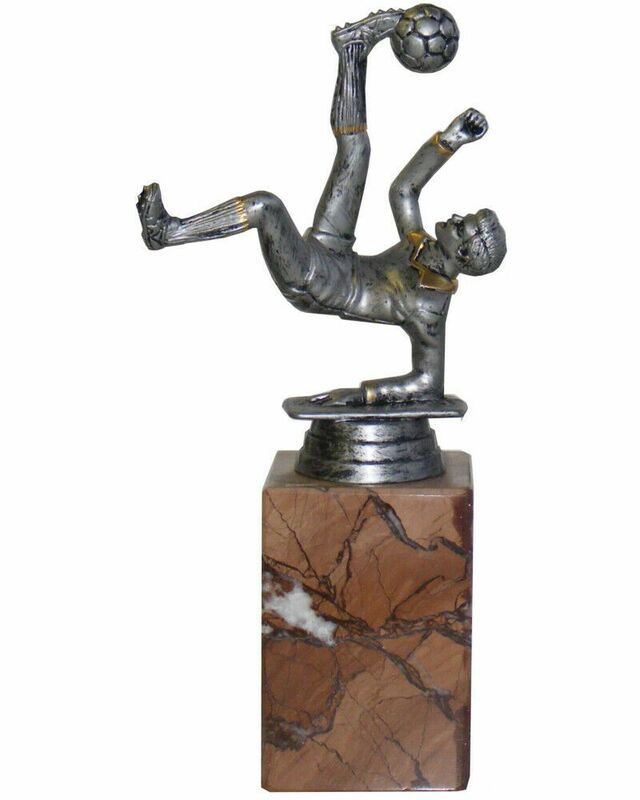 A football trophy featuring football player in overhead kick. 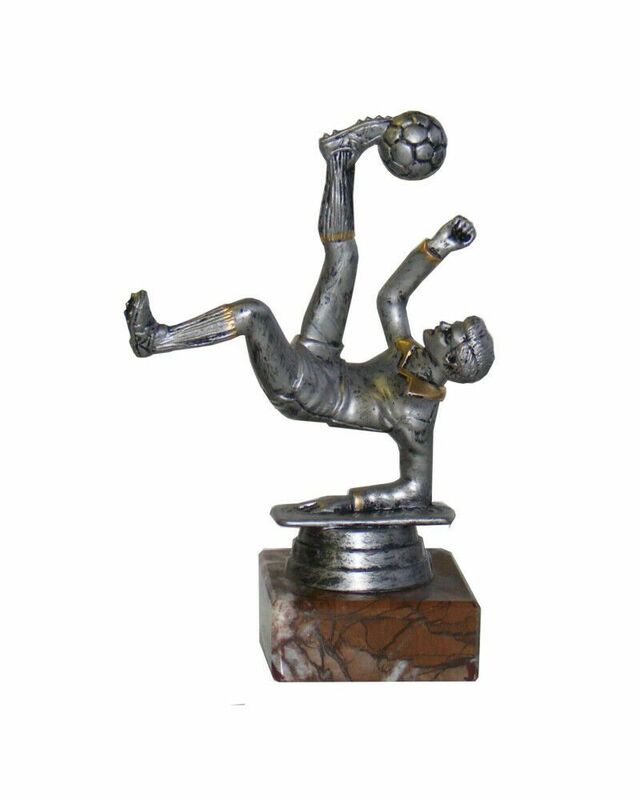 This trophy is made from a durable moulded plastic and mounted on a marble effect base. 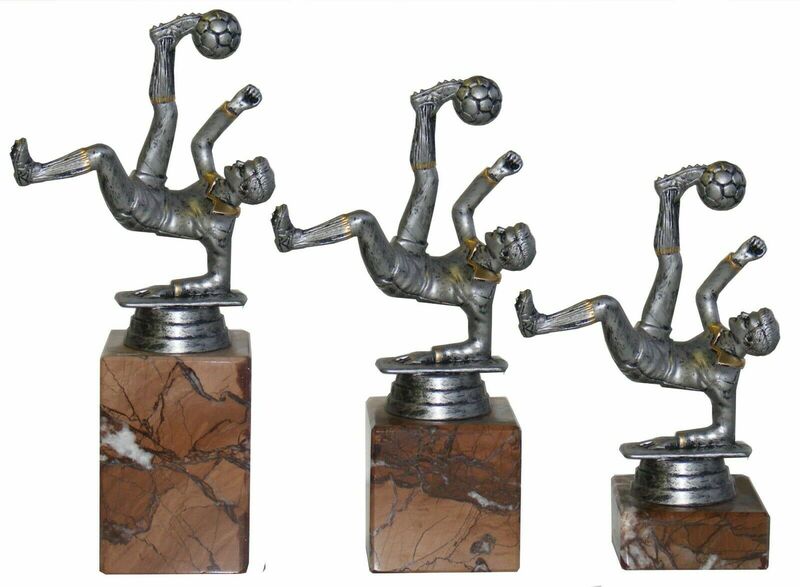 If you require quantity of any of our trophies, please contact us for a better price. 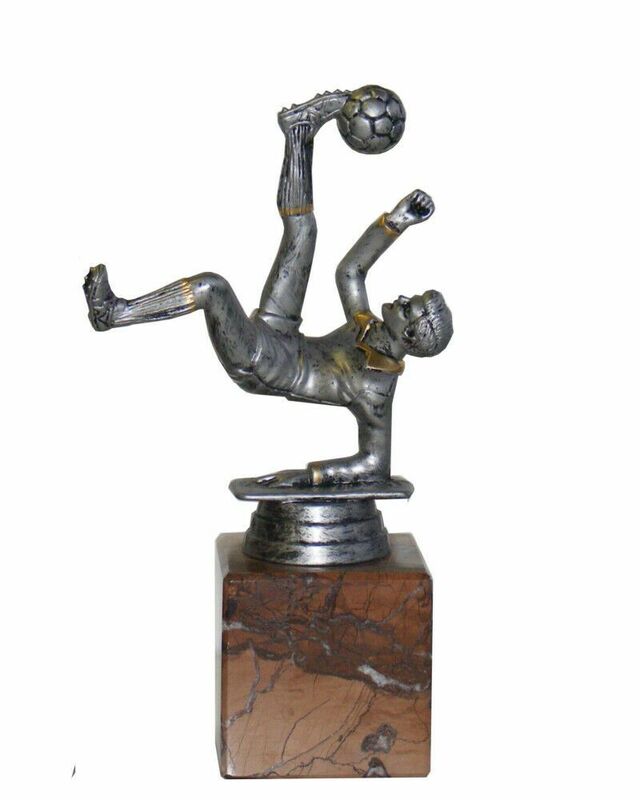 Engraving is done on a plaque on which is attached to the marble base.